Stories of the legendary outlaw Robin Hood have been told and retold for hundreds of years. The earliest versions would have been told by travelling minstrels and the earliest written version was an old ballad named A Lytell Geste of Robyn Hode that was printed in about 1500. From verbal stories to written versions the stories have since moved to television and film and show no sign of falling from favour, as was demonstrated by the number of people who joined a series of guided walks today to visit Robin Hood’s grave. According to the legend, Robin Hood died at Kirklees Priory in Yorkshire where he had gone to be cared for by the prioress who was his cousin. As he lay dying he summoned his faithful friend, Little John, by blowing his hunting horn. He then shot an arrow from the window and asked to be buried where it landed. 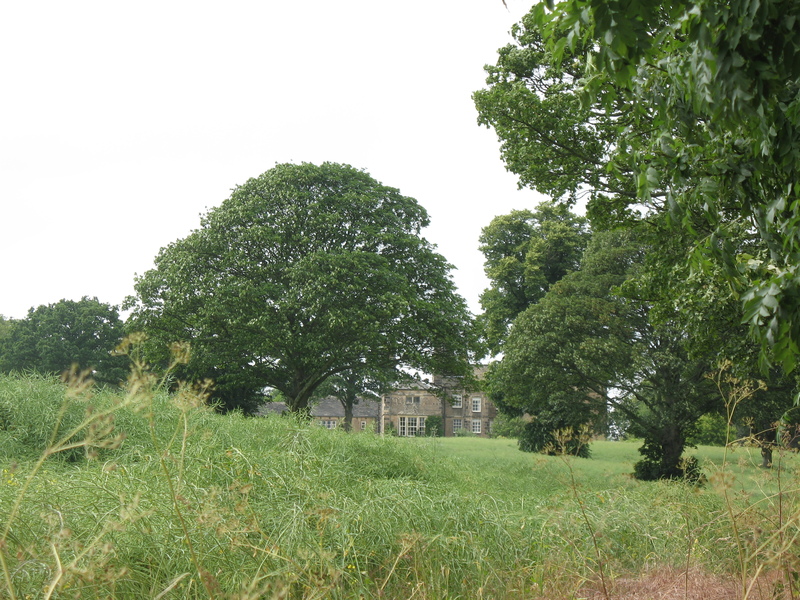 Most of Kirklees Priory has disappeared – at least in its original form – and the site is now a field on the Kirklees Estate. 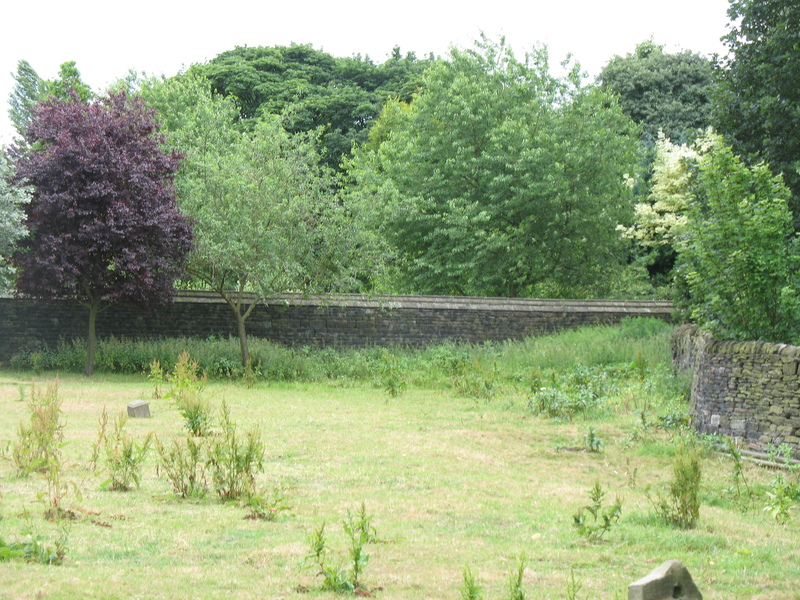 The wall that can be seen on the far side of the field is the original nunnery wall. All that remains of the Cistercian nunnery that was founded in 1155 is this gatehouse. It is from here that Robin supposedly shot his arrow. It is thought that this building was used as a residence for the farm manager when the rest of the priory was demolished and the stones used to construct farm buildings like this one. 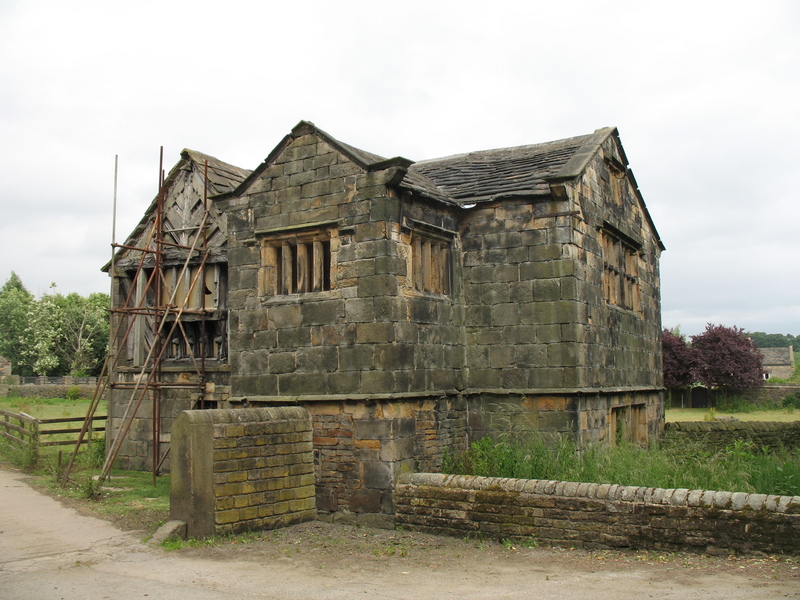 And to build Kirklees Hall, home to the Armytage family from 1565 until the 1980s. 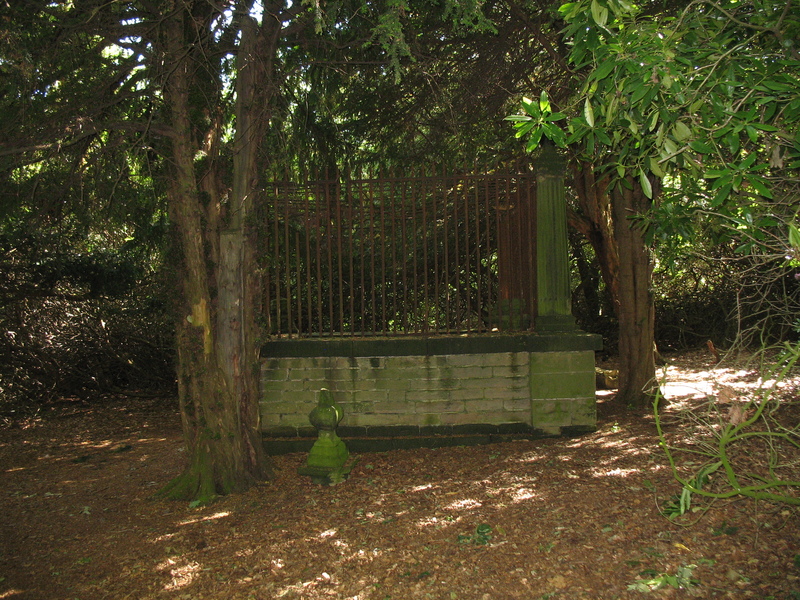 Around 660 yards from the gatehouse is the grave of Robin Hood. The original stone slab was surrounded by a wall and then railings to prevent it being damaged after a belief arose that a chip of stone from the grave would cure toothache. Surrounded by the yew trees which provided the wood for English longbows, one of the most famous archers in our history lies at peace in the Greenwood. I wonder how far Robins arrow went, when he was a sick and dying man, and an English longbow needed extreme strength to draw. We have been researching this since 1984–its kept very secret! I love these stories and at the age of 69, I have always believed in Robin Hood, and the story to be true. I will take that to my grave with me to be true! I love these reports! I watch Robin Hood movie with Russell Crow at least once every three or four weeks sometimes a little longer, but not much! If Robin Hood were to be true I truly think that this movie could have been his life story to the tee! And as far as Russell Crow goes, they couldn’t have picked a better person to play the roll! Good job HOLLYWOOD!! Loved it and Robin Hood! he was in fact from Cumbria and is buried in Yorkshire, yes you may think me be just yet another Robin fanatic, but I can assure you the evidence I have found has turned this historian into a firm believer as well. This is just fascinating! Terrific research! I am wondering if the Kirkstall Abbey in your novel is based on this abbey. As I drank my tea this morning I had come to that part in the book. Recently a member of a writer’s forum I belong to had his modern Canterbury Tale published and its tile is ‘Robin Hood and Friar Tuck: Zombie Killers’ by Paul Freeman. When you described a leper as the living dead I was reminded of his description of a zombie as ‘the living dead’. Elizabeth, you amaze me with all your research and your knowledge of the past. Kirkstall Abbey was a different place, Patricia. 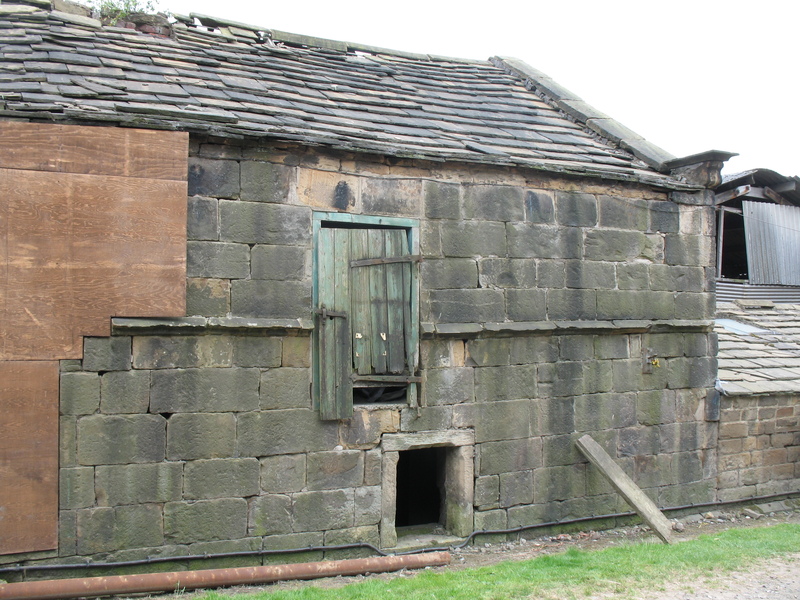 It did exist – still does – on the outskirts of Leeds and is fairly well preserved. If you click on my de Lacy trail sideshow you’ll find a photo of it.